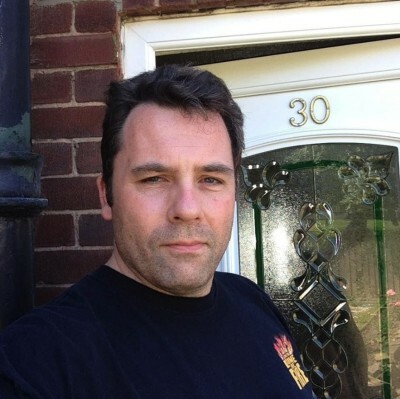 Richard Estep is a Paranormal Investigator with over 22 years experience. He researches cases in Great Britain and the United States. Spirits of The Cage: During the English witch trials of 1580, those poor souls accused of witchcraft were incarcerated in a squalid and brutal prison known as "The Cage." Some lived and were freed; others were sentenced to death and hung. 450 years later, The Cage still stands, and is reputed to be haunted by the spirits of its former prisoners, the jailors who guarded them, and many others. In an attempt to uncover the dark mysteries of the old and haunted prison, author and paranormal investigator Richard Estep moved into The Cage for five days with a team of researchers. This presentation will take you behind the scenes of that investigation, and give you a guided tour of one of the world's most haunted prisons. The Black Monk House: Scene of one of the most violent poltergeist outbreaks in recorded history, 30 East Drive in Pontefract, England, made international news during the 1960s. It remains active even fifty years after the Black Monk first terrorized the family that lived there. Interest in the case spiked with the release of the movie "When The Lights Went Out," which dramatized the haunting and introduced it to a new generation. Join author and paranormal investigator Richard Estep for a fascinating journey into the depths of this case, and see some of the evidence gathered during his time in residence at the house.